The Deputy Senate President of the Senate, Ike Ekweremadu, has promised that legislative work on the Electoral Act and the amendment of the constitution will be concluded in few weeks. He spoke on Monday when he received a delegation of the British High Commission in Nigeria led by the High Commissioner, Mr. Paul Arkwright. Details of the meeting were made available by his Special Adviser on Media, Mr. Uche Anichukwu. Ekweremadu, who expressed gratitude to the British Government for always showing interest in state of the Nigerian union and her democracy, said concluding the amendments to the Electoral Act and Constitution amendment was top on the priority list of the eighth National Assembly to ensure better governance and smooth elections in 2019. “The 2019 election is very important to Nigeria. The amendments to the Electoral Act and the constitution all form part of the ongoing electoral reform to continue to improve on the quality of our elections. 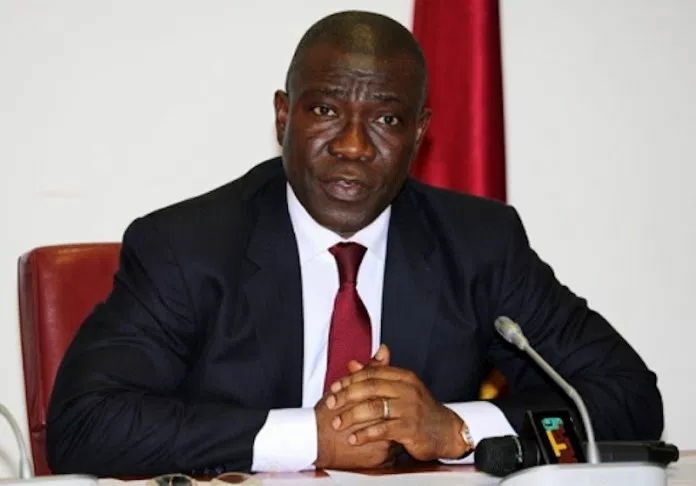 Ekweremadu was also of the view that the rearrangement of the order of election as passed by the House of Representatives, if adopted by the Conference Committee of both Houses, would help the electorate to judge each candidate on his or her own merit at each level of election. “The bottom line is that the Conference Committees on both the Electoral Act and constitution amendment are meeting separately this week to conclude work on the entire amendments to ensure a smoother and more credible electoral processes as well as promote good governance of the country,” he added. Earlier, the British High Commissioner, Arkwright, said they had come to see the Deputy President of the Senate on political developments, especially as it concerned the prospects for the Peoples Democratic Party (PDP) and legislative activities of the National Assembly. “The legislative programme, which you have in the Senate and the National Assembly, the changes to the electoral laws are also important to us,” Arkwright concluded.